You are here: Home / Gadgets / Tablets / Huawei introduces MediaPad M3 Lite 10 tablet with great specs! Huawei introduces MediaPad M3 Lite 10 tablet with great specs! 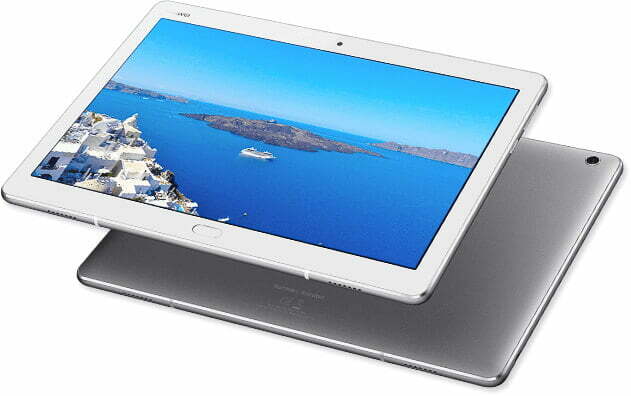 Huawei just released a 10.1 powerful tablet dubbed as MediaPad M3 Lite. The MediaPad M3 Lite 10, as the name suggests, has a 10.1-inch display. The large screen real-estate is great for productivity, but not so much for media consumption. This display only has a 1920 x 1080 resolution, which may a bit lackluster for its size. But on the bright side, Huawei is highlighting the tablet’s four loudspeakers that were co-engineered by Harman Kardon. Inside there’s a Qualcomm Snapdragon 435 octa-core processor, and either 3GB or 4GB of RAM to partner with. This horsepower can be sufficient enough to nail down every light to moderate task you throw at it. Even not-so-demanding games would definitely run without hiccups. Although everyone is being discouraged to take pictures with a tablet’s rear camera, Huawei is still throwing in an 8-megapixel sensor at the back with autofocus. There’s also an 8-megapixel sensor (fixed focus) in front for video calls and casual selfies. Huawei is yet to announce the official pricing and availability of the Huawei MediaPad M3 Lite 10 both locally and internationally. We’ll update this post once we get information.